If you are ever planning on going to a place northern enough to see those mesmerizing Northern Lights, you would probably want to photograph them to show off to family and friends. Does that require an expensive camera? Heck no: you can just use your smartphone. 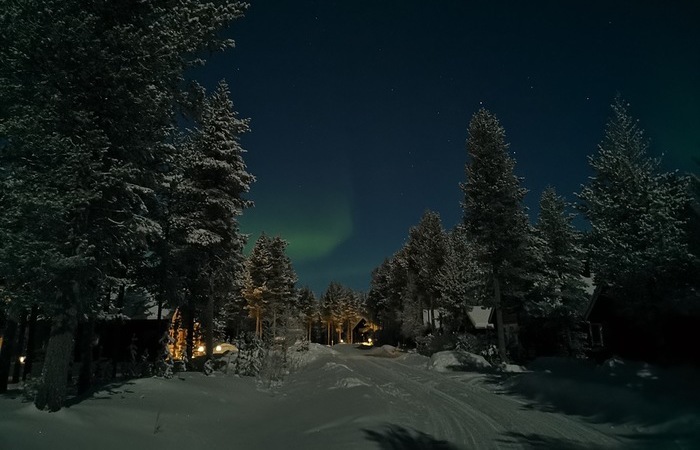 I went to Levi in Lapland a few months ago and the only thing I brought along was my Huawei Mate 20 Pro phone. Well, and of course a lot of warm clothing, cause it was -28 degrees Celcius up there. 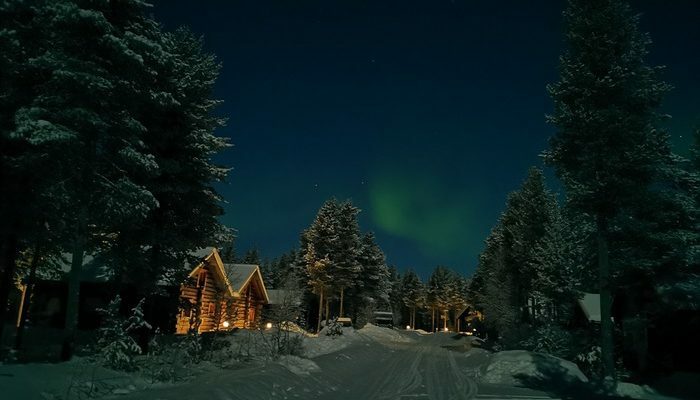 During the day we would go snowboarding, dog sledding or even snow scooter driving, but in the evening we drank some Baileys, enjoyed a game or a movie and: we would go Aurora Borealis hunting! Even though it is very fun and exciting to do, it is quite cold. When you are out in the woods at 11 o clock in the evening and it’s -28, it is pretty brutal having to take your gloves off. But you will have to: you need your phone. Not just to take snapshots of the beauty that is above you (or in front of you, as you will see in my pictures with this article), but to actually see the northern lights. 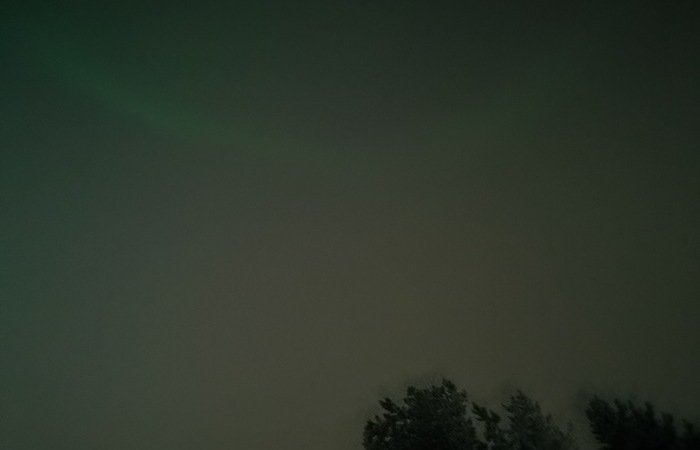 Often you will see some weird movement in the sky, if your app said the northern lights are showing. They can be behind clouds, they can not show at all, et cetera. You will often only see those sky movements, but when you get your camera (or in my case my phone) out, you will be able to see them perfectly by using a long shutter time. It is really something to see the northern lights show up on the screen of your phone. On one of our first hunts I was able to take the best pictures.